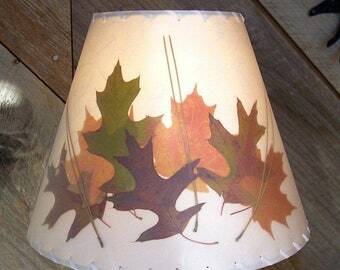 This one of a kind paper collage lampshade has a forest scene with three deer silhouettes and pressed ferns, on an oatmeal textured paper background. A shy fox is on the back side. It measures 8 x 18 x 13, has a washer top, and is stitched with tan raffia. Colors are green, gold, orange-red, beige and brown. Every angle is different and when the lamp is on, you can't stop admiring the natural colors, the translucent layers, and interesting patterns of this shade. There will never be another shade like this one. 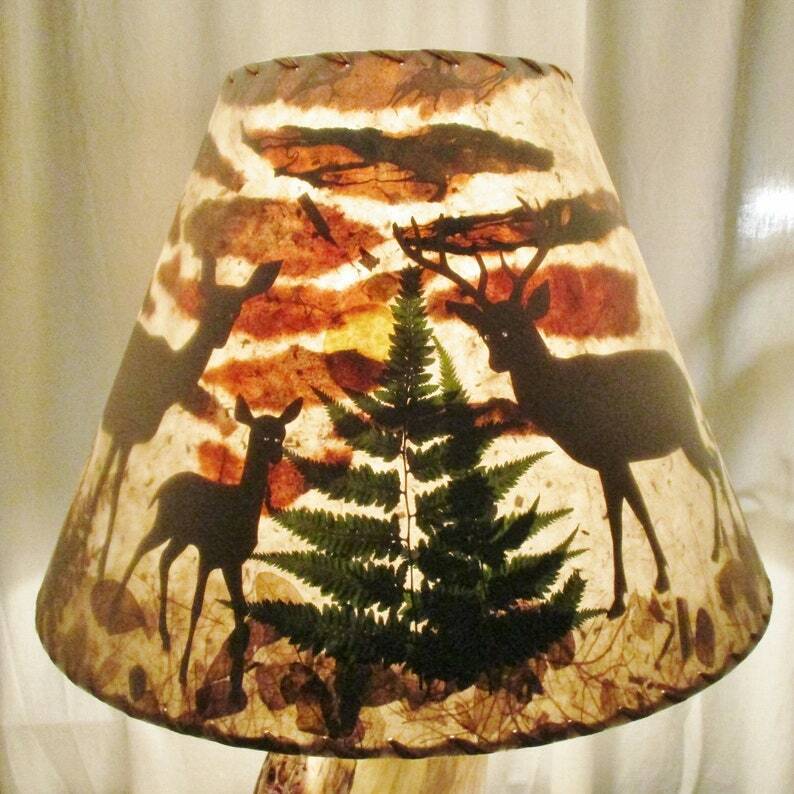 Perfect for nature lovers, deer hunters, or great for your rustic home, woodland theme log cabin or country decor. These shades take a long time to create as every piece must be placed in exactly the right spot to shine through.